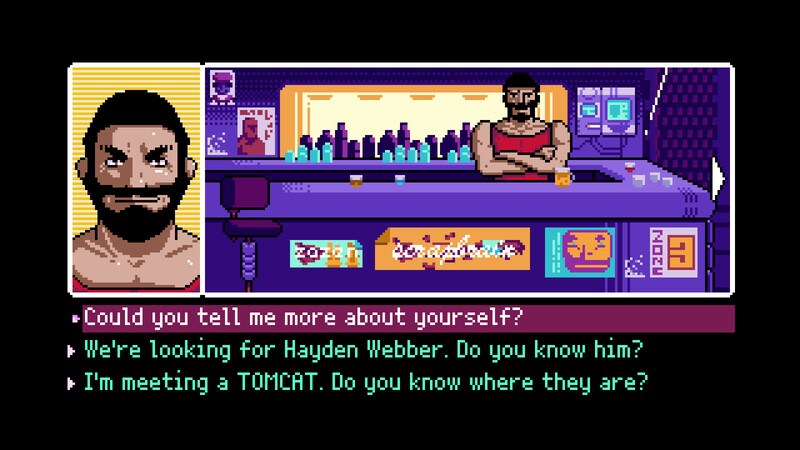 Earlier this year, 2064: Read Only Memories development studio MidBoss was upended by accusations of worker mistreatment committed by its founder and CEO Matt Conn. The allegations were varied, including sexual harassment, underpaying staff, undervaluing women and people of color, and threatening to sue employees. While they first surfaced from someone unrelated to the studio, they were quickly echoed by a handful of former employees of the studio, and Conn himself admitted on Twitter that he had "made some major mistakes" before apparently deleting his account. A little over a week later, another outfit Conn had founded, the LGBTQ-focused GaymerX conference, cut all ties with MidBoss and said Conn had been out of its own picture for months. At the same time, MidBoss announced a new interim CEO in Cade Peterson, who would be holding the position simultaneously with his role as VP of content and community at on-demand game subscription startup Jump. "I think it was generally a lot of inexperience all around, and not knowing too much of what needed to be done, or what had to be done and how it needed to be done"
Last week, Peterson and MidBoss creative director John James spoke with GamesIndustry.biz, Peterson as an outsider called in to address a company in crisis and James as a long-time employee of the studio who chose to stay with it through a tumultuous stretch. "I think it was generally a lot of inexperience all around, and not knowing too much of what needed to be done, or what had to be done and how it needed to be done," James said. "From my perspective, it was mostly--and not in a bad way--but just kind of ignorance all around of the proper way of getting things done. And that was pretty much it, I believe." "I would definitely agree that it was inexperience and not knowing the ideal ways of running a business," he said. "Because it turned from this fan-Kickstarted event [GaymerX] into this actual pair of businesses and nobody running them had any experience running a business and knew all the legalities. They kind of tried to figure things out as they went, but a lot of things just spiralled out of control, from my perspective." Inexperience running a business can certainly cause problems, but Peterson said it also contributes to the sort of workplace environment that allows for sexual harassment. "Having a lack of knowledge of what's appropriate in a business setting versus what's appropriate in casual banter between acquaintances," Peterson said. "Sometimes those lines can be crossed into inappropriate conversations and things like that. That's what I believe became a normal--well not normal, but not irregular--thing that came up. Some of those things in some people's minds--like sexualized content in a conversation--doesn't bother some people, but it's definitely not appropriate in a business setting." Peterson said it wasn't obvious to Conn how inappropriate his behavior was, and that the lack of proper complaint channels exacerbated the situation. "They had no ways to report HR infractions to anybody, because the only person to go to was Matt," he explained. "And that created this weird imbalance of power. The person they could have reported to was the person who was doing it, so it created a bad situation." As might be expected given the allegations, MidBoss' headcount took a significant hit. At the studio's largest, Peterson said it had a handful of full-time employees bolstered by a lot of part-timers and contractors, somewhere north of 20 people overall. These days there are three full-timers, a part-time narrative writer, and two contractors: six people in total, and that actually represents expansion from the low point. "Pretty much everybody left, so we were kind of bare bones at the time and there was a lot of stuff up in the air after all that happened," James said. "So there was a point where I started thinking I need to start searching for something else to do, somewhere to work or somewhere to sustain me for a little while because I don't know what's going to happen next. But then when Cade came around, that was pretty quick, coming in and starting to fix things up. So there wasn't necessarily concern after everybody left, outside of, 'Well how are we going to actually continue any of our projects without staff?'" So what did Peterson do, specifically? "Personally, I've gone through situations where I've worked 70 or 80 hours a week for years, basically in crunch for years, and it's not a healthy place to be. So I wanted to make sure that was definitely not the case for MidBoss going forward"
"There was immediate clear direction on what we were going to be doing after that, what projects we were going to prioritize and focus on, and also just work-life environment and the general boundaries for those things were all pretty much set in place very quickly," James said. A new payment system, mandatory sexual harassment training, and more concrete rules for inappropriate workplace behavior were implemented. Peterson said he made work-life balance a particular emphasis. After his hiring, the remaining employees told him that working under Conn, they felt they had to be "on" all the time, getting text messages at any time day or night with an expectation to address them right away. "I immediately made sure everybody felt like they had proper downtime, proper off time," Peterson said. "And that was a big change from the way they previously felt they had to work or were expected to work. Personally, I've gone through situations where I've worked 70 or 80 hours a week for years, basically in crunch for years, and it's not a healthy place to be. So I wanted to make sure that was definitely not the case for MidBoss going forward." MidBoss now has specific office hours of 10 a.m. to 4 p.m. Pacific time, and developers are expected to make up the other couple of hours per work day whenever it works best for them. He also checks in every couple of his weeks with each individual at the company to see how things are working. "So far all the feedback I've received is that they're much happier, much more comfortable working for MidBoss," Peterson said. "And they also seem to have a passion for doing it again. I think that had dwindled over the years." Peterson also reached out to "a couple of the more vocal" ex-employees for their feedback. "Everybody was very civil but they also all brought up their personal takes on everything and basically all said they didn't want to work for MidBoss again," Peterson said. The MidBoss that made 2064 is substantially different from the MidBoss that is making the studio's future projects. Overall, Peterson said about half of the former employees he's spoken with told him they're open to returning to MidBoss in the future, while half are clearly done with the company for good. As for how developers at large might feel, Peterson said MidBoss' reputation doesn't seem to be driving talent away. "So far when we've reached out to agencies to find new composers, or when we hired a new narrative writer, there's been no issue or difficulty in finding new talent," Peterson said. "It's something I'm wary of, and if anybody ever asked me--which they haven't--I'd definitely give them the lowdown about what happened, what I'm doing to make sure that sort of stuff didn't happen again, and if they came on to work with us, that their work experience would be a positive one." Peterson has yet to encounter any problems with publishers or other business partners, either. He said he'd been "fairly aggressive" about seeking new promotional deals for MidBoss since he came on, and has had no issues or pushback yet. He even completed a deal with Limited Run Games for two separate versions of 2064: Read Only Memories for the PlayStation Vita since he came on board. The collector's and standard editions of the game sold out their cumulative run of 3,500 copies within about a minute of going on sale, Peterson said. So it seems developers and partners are largely willing to look past the controversy in order to keep doing business with MidBoss, but what about players? Peterson acknowledged that the studio's social media efforts have been drastically pared down, and the Discord channel is quiet lately, but seems hopeful the company's fanbase hasn't taken a significant hit. "I haven't had any major pushback, actually, from fans... I'm sure we did lose some, but I don't actually know who or how many"
"The ones who learned about all these issues, I think they were upset and sad, but I think they were also more relieved that MidBoss just wasn't dying," Peterson said, adding, "I haven't had any major pushback, actually, from fans. Our email list for our newsletter keeps growing, and we started sending those out again a few weeks ago. As far as I know, there have been no major issues, but the ones that did mention stuff were cautiously afraid we were just going to shut down shop and they didn't want that. I'm sure we did lose some, but I don't actually know who or how many." Lack of pushback aside, Peterson isn't ready to put this whole ugly saga behind the studio just yet. He sees his work so far as triage, setting MidBoss up with the basic structure required to run "in a fair and normal way that a corporation should be run." Payroll, human resources, and other missing functions have finally been set up properly, the production schedule is back in place, and cash flow is being sorted out. But he believes the company isn't out of the woods yet. "I do have a little fear in the back of my mind that there's going to be more angry stuff popping up on Twitter or whatever, so I'm always kind of wary that my efforts have been quick and swift to get things to a good place, but that doesn't mean the sentiment outside is good yet," Peterson said. "I still feel like there may still be some issues that could bubble up. It's unclear." One of those issues might be Conn's continued involvement in MidBoss. In Peterson's original statement as interim CEO of MidBoss, he assured that Conn would be "fully offboarded." And while his operational role in the company may indeed be gone, Conn retains a significant ownership stake. "Before I came on, Matt owned just shy of about 80% of the company," Peterson said. "And during the changeover, I went to work with our legal team and figured out what are the ramifications of all these things. During the process, Matt was very insistent on basically gifting half of his ownership to former and current employees, not all of them but key players." James was one such key player who saw his stake in the company increase. Peterson said he was also gifted a stake from Conn's ownership, but didn't feel comfortable accepting it outright and instead put it on a vesting schedule so he can feel he earned it. "Matt still owns approximately 40% of MidBoss, but my one stipulation for entertaining the idea of coming on to do this was such that any executive control as concerns his ownership be relinquished. So he's now basically a silent owner and has no power to do anything. "The reason I did that was because I wanted to make sure the stability of the company going forward would be in the hands of new management, rather than potentially on the whims of someone who may not make the best decisions. That was my only stipulation and Matt agreed to it without question." Peterson isn't certain yet how his tenure with MidBoss will end. He's been on the job for about three months and expects his stint to run at least three more. In an ideal world, he said by then MidBoss will have announced one of its new projects to a very positive response, and without a reprisal of the backlash and negative sentiment it endured earlier this year. If Peterson can make that happen, he would have another explanation for why he saw a studio in danger of a very embarrassing and very public immolation and went running toward the flames instead of away. "I don't like to run away from problems," Peterson said. "I like to dive in and fix things. It's my nature. And yeah, I basically put my reputation on the line. There are a lot of things that could have been damaging for me, personally. But the reason I did this was because I just believe so much in what MidBoss does and what I hope they will continue to do, and I couldn't just let it die... The world would be a worse place if MidBoss just didn't exist anymore."